We have just returned from a very interesting and eventful holiday in the Drakensberg (a mountain range in Kwa-Zulu Natal) and I thought I would share some of these (en homme) experiences with you all, in the interests of balancing out the impression some of you may have of me. Also, they are quite interesting adventures in their own right. This was very much a family holiday in two stages. The first half involved us (the four of us together with my parents and my sister and her family) going to the central Drakensberg to see my nephew perform in his final concerts at the Drakensberg Boys’ Choir. The second half entailed my family and my parents meeting up with my parents in law to visit a series of battlefields in the northern KZN region. This was a trip requested by my mother in law (I am something of an amateur historian, although far from an expert in South African history) and was meant to be fun and educational for the kids and the adults (yes, you can feel sorry for our kids). We arrived at the guest house my sister had booked for us all to stay in. It was very comfortable. We had our own little ‘suite’ downstairs (somewhat separate from the main house) with two bedrooms a full bathroom and a small sitting room. The rest of the family were upstairs which also had a lounge, a TV room, a kitchen, a dining room and an outdoor entertainment area. We had a braai (South African barbecue) on the first night and all was good. After a hearty breakfast, we decided to go on a hike to the Blue Grotto, a rock pool fed by a waterfall in the mountains. The hike started and finished at the Drakensberg Sun, a hotel in the area. We all set off full of enthusiasm, but before we had left the hotel’s grounds, my father and mother decided it was too hot and too far to go on so they returned to have a leisurely cup of tea at the hotel and wait for us. The rest of us started the approximately 7.5 km (4.7 mile) hike. It was quite warm and there were a few places where we had to cross some mountain streams and some other ‘tricky’ parts where we had to carry our 4-year-old. I was very surprised at how well she managed and was impressed with my eldest daughter’s athleticism and endurance. The streams were beautiful and afforded us an opportunity to drink the water fresh from the rocks (although I prefer my water to be chlorinated – yes, I am the quintessential city girl). After a lovely swim, we headed back down the mountain. After just a few minutes we (the youngest, my spouse and I) had become separated from the rest of the group. I was walking behind my spouse and daughter making sure they didn’t fall too far behind and possibly get into difficulties. They were walking side by side on the narrow path as they were holding hands and my daughter was therefore right on the edge of the path sometimes going into the bushes on the side. Suddenly she started screaming. Loudly. I thought she must have stepped into a thorn bush but as I looked down, I saw the real reason for her distress. It was a snake! A whole bunch of stuff raced through my mind. I knew I needed to act and act fast. I had always been told that when bitten by a snake identifying the snake was of paramount importance so that if necessary the correct anti-venom can be administered. You are told that you should always try and take the snake with you for this purpose. I lacked a weapon (I didn’t even have a pocket knife with me) so I started moving my hand to grab the snake when I thought ‘wait a minute if it is venomous and it bites me as well then we are all in far more trouble! So, I decided to let it slither away (which it was already doing). I got a good look at its stomach and upper markings and estimated its size. But crucially I could not see its head (the best way of identifying a snake). All this decision making took less than a few seconds (I would estimate 3 to 5 at most, but I was not counting). I gave my mobile phone to my spouse and told her to phone an ambulance (as soon as she could get signal) and to tell them to meet us at the hotel at the foot of the mountain. I raced down the path and quickly came across the rest of my family. I shouted at them to get off the path and raced past them. At this point I made a potentially fatal error. I should have told my brother in law to run with me (he is fit, healthy and strong) so that we could take turns carrying her, but I did not think of this… Of her own volition my eldest daughter ran with me keeping up with me, calming her sister down and helping me assess her mental and physical condition. I was astounded at this. She realised how serious this could be and kept so calm. It was a big help. She also kept me hydrated by passing me a drink as we ran (I was carrying our party’s drinks). We arrived at the hotel after about 30 to 40 minutes (again I wasn’t timing things). We were met by a pair of very competent medics. They assessed my daughter and kept us all calm and relaxed. They had called a rapid response medic when my sister had called them earlier and he arrived after about 10 minutes. Based on my description and perhaps more importantly the bite marks he decided that it was probably not a venomous snake and that she would be fine. He gave us a telephone number of a local doctor and told us what to look out for in case we were all wrong. The ambulance arrived a few minutes later and seemed somewhat annoyed to have missed all the action, especially as they had driven some 40 minutes to reach us. They wanted us to return with them to the hospital by seeing that my daughter was looking ok we signed their waiver and thanked them for their trouble. I was very impressed with all the staff at the hotel who were helpful and kind as well as the hotel medics and the rapid response medic. They were professional, competent and compassionate. Fortunately, the little girl has recovered fully without any ill effects and has been playing with all her snake toys since we got back. So, all is well that ends well. The rest of this leg of the trip was enjoyable but largely uneventful (provided you consider ongoing raids of the kitchen by the local monkey troop uneventful). We now set for the second leg of our holiday. Anticipating the need for additional seating and luggage space, as well as better sand and off road performance than my usual car, we had hired a Toyota Fortuner. It seats 7, has good ground clearance and even with the extra seats in position still has a decent size boot. We loaded the car up and the 6 of us drove the 200 kms to Newcastle KZN (it is named after Newcastle in the UK due to its extensive coal deposits). But first the girls had to do a spot of horse riding in torrential rain, because genetics! 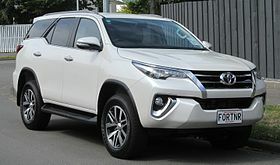 I was happy with the Fortuner as a hire car, but I am glad I do not own one. It was fit for purpose, but would just be too big for everyday use. It is far from economic and maintenance costs must be massive. We were also not impressed with its road holding, it felt very insecure going around bends, but the overall ride was comfortable and the space was welcome. We arrived at the accommodation we had booked via the internet, Zinyati Lodge. The website made the place look very good. The beehive hut rondavels looked picturesque in the garden setting and the promise of miniature horses and all sorts of activities, as well as a restaurant on site and nearby made it sound perfect for the children and adults alike. As we drove up we started wondering if we were in the right place. It looked horribly run down, with the gates, walls, signage and gardens in serious need of some attention. We drove in and checked that we were in the right place. We were. We were somewhat disappointed. But decided to give them the benefit of the doubt. The manager on duty at check-in proceeded to tell us how horrible my mother in law was because she had complained about the ants and spiders in her rondavel. At first, we were prepared to give the woman the benefit of the doubt as my mother in law can be quite forthright… But I did find it rather unprofessional. We arrived in our rooms. My parents and in laws were in the rondavels and they seemed ok. Our room was large but seemed ok. Until we went into the bathroom. The toilet cistern was uncovered and the water in the cistern was rather dirty. Then we found we had no hot water. The manager checked in with her maintenance man and decided to move us next door. This was different in that it was a self-catering unit composed of a ‘children’s bedroom’ and kitchen, a main bedroom and a bathroom. The decor was rather dark and dreary but it had hot water. Sadly, the toilet seat was broken and tried to eat anyone who sat on it. We decided to make the most of it. We walked around and found the miniature horses. They were cute and seemed in good condition. Although their paddock was littered with wire, barbed wire and rusting metal. Luckily, they seemed to be able to avoid all this debris. The entire compound was clearly in need of some attention and maintenance… My daughter then wanted to swim. We found the pool. Sadly, it was not the sparkling blue lagoon depicted on the website. The only thing differentiating the pool from the green grass it was set in was the cracked paving surrounding it. But it was hot and my daughter is a sturdy South African girl and was not to be deterred by some algae. She jumped in and had an ok swim. We decided to see about some dinner. We enquired about the restaurant but were told that we needed to tell them in advance if we were planning on eating there and that we had already missed the deadline for doing so. We were surprised but headed off to the nearest mall (about 2 kms away). We arrived and found a Spur restaurant (all American Indians are to avert the eyes… Cultural appropriation is very real and unremarkable in South Africa). We had an ok meal. The girls loved the jungle gym (as always) and they also got snake and monkey hand puppets – how appropriate, given the adventures to date. We returned to the lodge and went to bed. I am not sure what attacked us, but we all woke up full of bites. Could it have been bed bugs? Just some killer mosquitoes? Who knew? We decided to get going early as we wanted to get a lot done. I forewent my customary morning coffee as there was only instant in the room and I was sure the restaurant would have some filter on hand. We headed to the restaurant for our breakfast. Entering was… interesting. The decor was red and black with plastic red roses on the tables. The informing oeuvre seemed to be ‘1980s brothel’. Still how bad could it be? We asked for a poached egg. After sometime it arrived. It was… individual. That is the only way I can think of describing it. I tried cutting it and my knife literally bounced off it. I was reminded of a squash ball. It was the same size and texture. And was as tough and rubbery too. I stabbed the egg with my knife and I then couldn’t get it off the knife. It was actually rather funny… I tried the sausage, but no matter how much tomato sauce (ketchup) I put on it, it remained fundamentally inedible. My father in law then asked if he could have a cup of coffee. The front of house, manager type person informed us that coffee was not included in the ‘free’ breakfast. I actually laughed out loud! The only saving grace was that we hadn’t eaten there the previous night. If it is possible for them to destroy a breakfast like that, can you imagine what they could do to a main meal? At this point we realised that the establishment was just bad. I can understand that a venue may fall on hard times and that maintenance may suffer. As revenues decline it can be hard to fine the money to do what needs to be done (painting, plumbing, pool chemicals and gardening all cost money, I get that), but really… Once you have bought an egg, some sausage and a packet of bacon it actually costs more to cook them this badly! With a bit of care and attention to detail you can cook these things well. It costs no more. An egg is an egg! Clearly the staff just could not be bothered. With a sense of relief at having dodged the previous night’s dinner we ventured out for our day’s activities. We decided to put everyone in one car and here the Fortuner came into its own . We managed to get 6 adults and 2 children into the car comfortably (fortunately my mother is quite short and dainty, so she sat between the girls on the rear most seat, actually only designed for two). We drove nearly 450 kms that day and visited the site of the death of Louis Napoleon, the Prince Imperial as well as the site of the Battle of Ncome. On the way home, we were hit by truly heavy rain. Fortunately, we had just left the sand roads and were on tarred roads when the rain fell. The road resembled a river more than a road and crossing some of the bridges was more than a little scary. We arrived back without incident and after a dinner at the Dros headed back to the lodge. The visits to the various sites were very illuminating, especially as to what they said about the state of contemporary South African politics, society, economics and social relations (especially as relating to race, ethnicity and identity). But this is somewhat beyond the scope of this post which is too long already. Watch out for a follow up soon.